The Rotary Servo and Linear Motion Control Labs are two of the world's most popular, flexible and modular solutions for teaching controls. Engineering educators and students who use either one find themselves working with a robust, optimized and integrated workstation that offers peace of mind, versatility and maximum efficiency. Both labs come complete with all the components and peripherals you need. Taken together, those components and peripherals form a complete turn-key platform that will allow you to offer a broad, dynamic controls education. That platform consists of five key elements. The five key elements in our NI-based turn-key controls platform are Quanser's Rapid Control Prototyping Toolkit, Quanser courseware and pre-designed VIs, the individual Quanser experiment and amplifier, Quanser's Q1-cRIO module, and the NI CompactRIO. 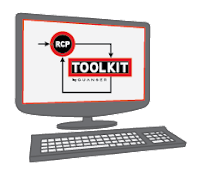 In terms of software, the turn-key controls platform is based on National Instruments LabVIEW™ and the Rapid Control Prototyping (RCP) Toolkit, a new LabVIEW™ add-on developed by Quanser. Designing and deploying high performing controllers is an intuitive and straightforward process with RCP Toolkit. Combined with the LabVIEW Control Design and Simulation and LabVIEW™ Mathscript RT Modules, Quanser RCP Toolkit is a powerful design tool spanning the spectrum from simulation to implementation. Pedagogical curriculum is provided with every Rotary Servo workstation and most Linear Motion workstations. The curriculum covers a wide range of popular control topics. 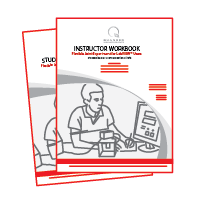 Instructor and Student Workbooks come complete with pre-lab assignments and in-lab, step by step instructions. These materials are designed to save time on course development. Workbooks and comprehensive student assignments are ready to use right out of the box. To help your engineering students assimilate controls theory and stay motivated, create a lab that offers many workstations featuring either or both the Rotary Servo SRV02 Base Unit and Linear Servo Base Unit, along with different add-on modules. This allows you to cover a wider range of control topics, from introductory to advanced, and expose students to different hardware. Several voltage amplifiers are available to support the experiments. Small, lightweight and portable, they are ideal for all complex controls configurations related to educational or research needs. Quanser’s Q1-cRIO is a C Series data acquisition and control module designed for NI CompactRIO. It offers a convenient set of inputs and outputs that provides all channels required to control all of Quanser’s experiments. Several other data acquisition and interfacing options are available, targeting both NI CompactRIO and Microsoft Windows® platforms. NI CompactRIO offers an embedded, deterministic real-time platform on which control algorithms can be deployed, and real-world signals interfaced to via the Quanser Q1-cRIO module. Workstations for the Rotary Servo and Linear Motion Control Labs can also be based on Windows® PC controllers. 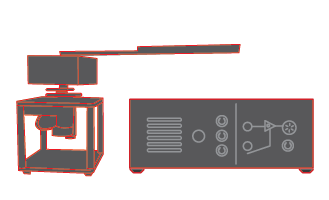 Get Your Lab Up and Running Immediately: Both Rotary Servo and Linear Motion Control Labs based on this platform are designed for quick, repeated assembly and disassembly. Plug and play connectors and provided cables allow students or lab technicians to make fast, error-free connections when setting up a control workstation. There is no need to strip wires or solder custom cables. Quality and Precision You Can Rely On: You can count on the workstation components to perform semester after semester, even when handled by the most enthusiastic students. Ongoing Tech Support: Whether your lab requires months or years to complete, you can rely on support from Quanser and National Instruments. Count on little or no downtime since the same engineers who designed and built both Control Labs are available to offer rapid assistance. The Right Partners: As academic specialists, Quanser and National Instruments are uniquely placed to help meet the challenges facing engineering faculties. Contact us today at info@quanser.com to help design your control lab.